We have used the highest quality French research with the aim of developing innovative formulae combining split hyaluronic acid, natural resveratrol and grape seed polyphenols. The high molecular weight molecules have liftant and anti-drying action. They act as a super moisturizer and mechanically fade wrinkles. The "average" molecules of hyaluronic acid act as a super moisturizer. They have a lasting plumping effect, visible from the earliest applications. The "smallest" molecules of hyaluronic acid have an anti-oxidant action and stimulate cell cohesion. They also reactivate collagen and natural hyaluronic acid synthesis. This Miracle molecule of the "French paradox is very present in the vine and has fabulous anti-ageing power. Resveratrol can significantly stimulate cell renewal mechanism and densify the eperdermis. It also increases the production of collagen and elastin for a visible improvement in skin firmness from the first applications. 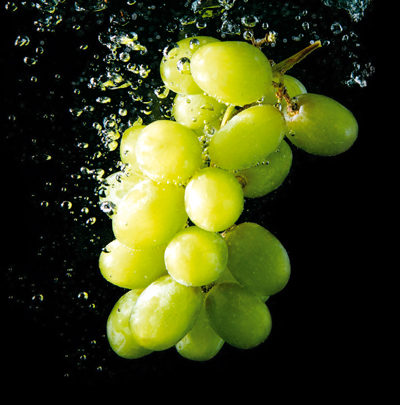 Polyphenols extracted from grape seeds are potent natural antioxidants that act by neutralizing free radicals, the main cause of the phenomenon of ageing. They also stabilize the hyaluronic acid molecules, and thus preserve the moisturizing of the skin.